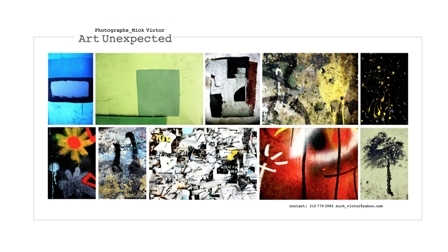 Art Unexpected: Discovering great "unexpected" photographs hiding right in front of your camera! hiding right in front of your camera! Cameras are provided by the instructor and handed out in the beginning of class. See a big screen presentation of everyone’s best photographs and engage in an open, fun and informative discussion about “Art Unexpected” images captured! Take home your digital images! Check out your images on ArtWise!